An iconic ice cream place north of Boston is on the market. According to a Facebook post from Covelle & Cohen Greater Boston Real Estate, the Dairy Dome in Stoneham is up for sale, with the listing showing that the asking price is $899,900. It appears that the Main Street shop has actually been available for a little while now, as a page on the Salem Chamber of Commerce site from November of 2016 also showed it being on the market. 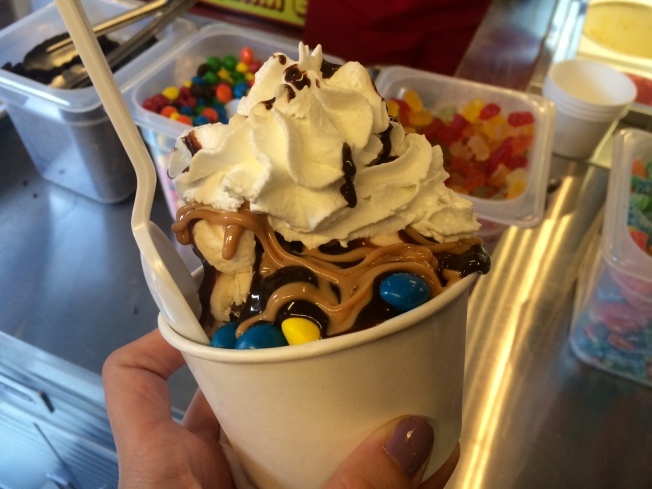 The Dairy Dome is known for its ice cream and frozen yogurt, along with its soups, salads, sandwiches and more. The place has been in business for more than 35 years. The address for the Dairy Dome is 474 Main Street (Route 28), Stoneham, MA, 02180.